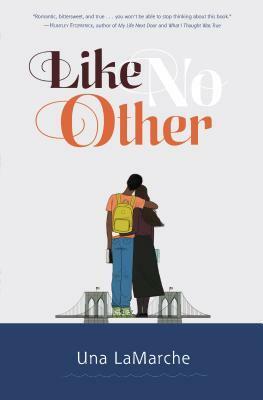 Like No Other by Una LaMarche is a lovely Romeo and Juliet story between a Hasidic girl and a black teen in modern day New York. Maybe even more than the original Romeo and Juliet, this story is truly about crossing family lines. Devorah sees something beyond her strict religious upbringing and wants to know more. But instead of just condemning her former life, she still sees value in it. And the nerdy Jaxon who never quite fit in or connected with a girl, found a girl, well, like no other.